140 Kulalani Place is a modern masterpiece, sleek & sophisticated, with an artful blend of glass, metal & wood. Enter the estate through a winding driveway lined with native Koa trees & embrace the natural pastoral beauty of Kula. Integrating modern materials, this residence is the culmination of the best ideas in contemporary architecture. The heart of the home is a light-filled great room with pocketing floor-to-ceiling sliding glass doors that seamlessly blend the indoors with the outdoors. Cleverly designed with multiple living areas, the home has 3 bedrooms & 3.5 baths, a soundproof state-of-the-art home theater/media room & an impeccable SieMatic kitchen. At 3,200Ã¢Â€Â™ elevation, it features polished concrete floors warmed with solar radiant heat & a smokeless, ashless fireplace fueled by denatured alcohol. Energy saving Lutron lighting systems furnish eco-friendly illumination. Built with sustainable materials, such as hardwood Ipe for the decks & lanais, itÃ¢Â€Â™s comfortable as well as practical. Also on the property, a separate 2,300 sf 3-stall stable (equipped with closed-circuit TV) attached to a 1000 sf guest hale. Nearby, a fenced, regulation sized, 3-rail riding arena is adjacent to irrigated pastures. Enjoy tranquil, picturesque sunsets & unparalleled coastline & ocean views in this tasteful, luxurious equestrian estate. 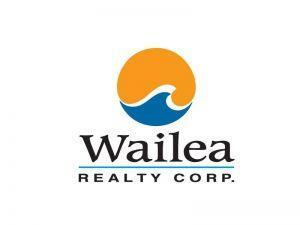 I am interested in 140 Kulanani Pl, Kula, HI 96790 (Listing ID # 379987).